Let’s be honest around here, who has time to cook nowadays? We want to help ease that pressure you might have so we want to share one of our favorite meals with you. 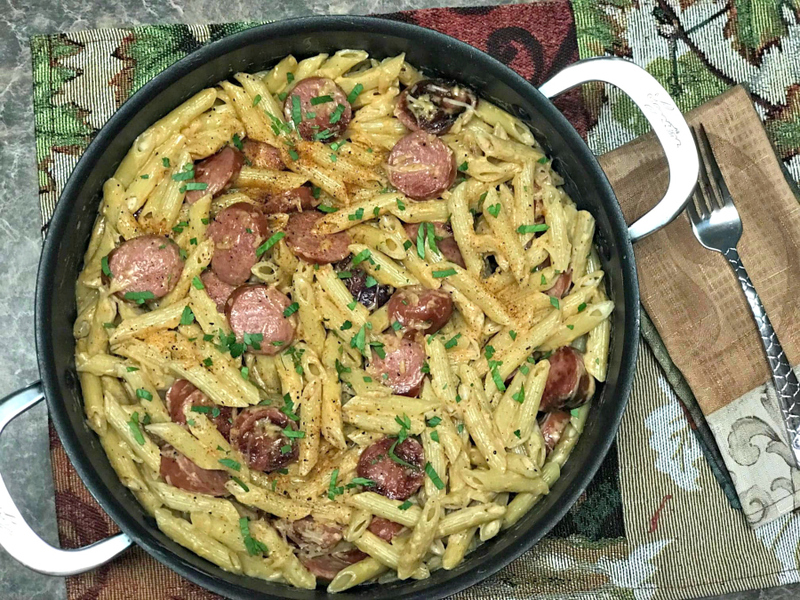 The Eckrich Smoked Sausage Cajun Alfredo is easy and ready within 20-30 minutes. Perfect for a family that is busy, but wants a homemade meal, not takeout. Every day I dream of a chef creating my family food or that food magically appears at my door. But then reality kicks in and the husband asks me what is for dinner? 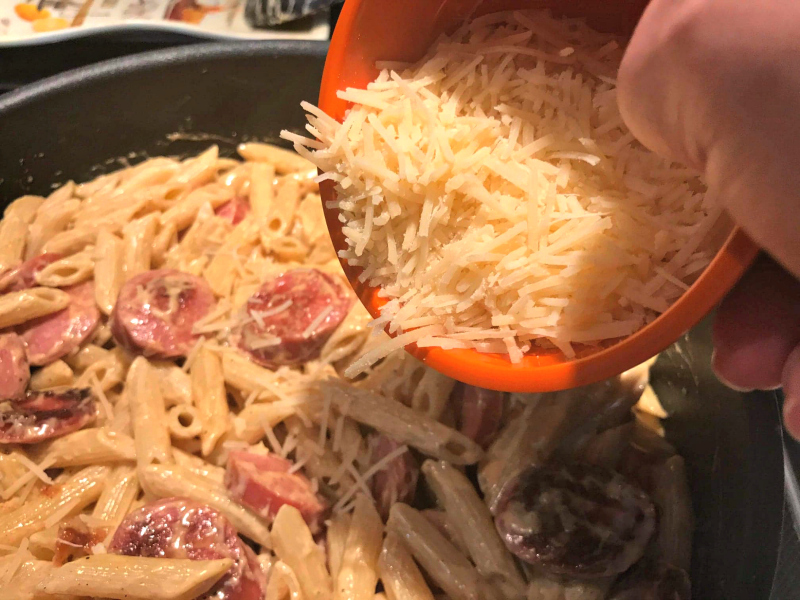 My family loves pasta, so that is why I make my Eckrich Smoked Sausage Cajun Alfredo at least once a week. This recipe is super simple and quick to make, now that is my type of meal. Remember, you will need 30 minutes and only a few items to create this dish. Plus, the best thing about this meal is it is an ONE PAN MEAL. I’m sorry, no ordinary smoked sausage will work, you will need Eckrich Smoked Sausage which I always have on hand. This family favorite has such great taste and supreme quality. You can go from hmm to mmm with Eckrich, and whatever’s handy in your kitchen. Plus, my family gets a delicious homemade meal in less than 30 minutes. 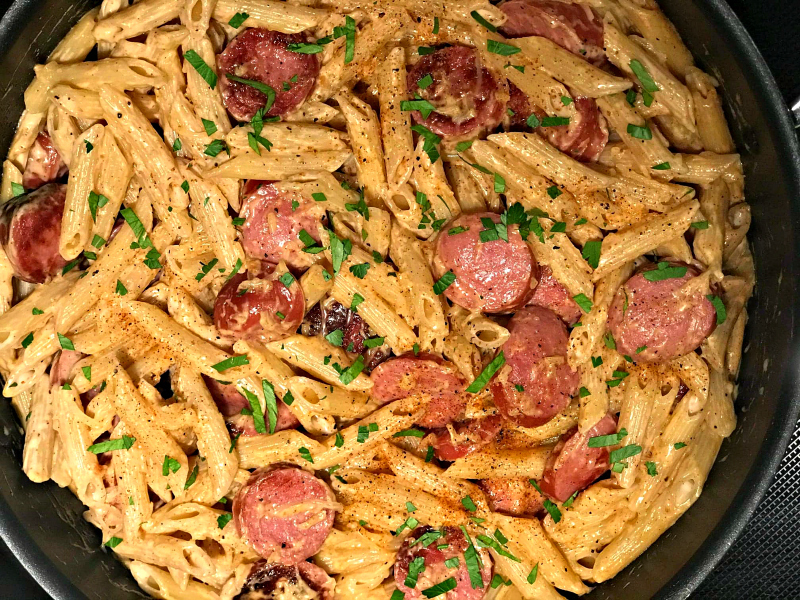 Cooking with Eckrich Smoked Sausage is a no-brainer because it is naturally hardwood smoked and crafted with just the right blend of spices for a vibrant, savory taste. You need those flavors to create the perfect go-to meal. Eckrich Smoked Sausage is a staple in the kitchen because it is ideal for breakfast, lunch and dinner meals at a moment’s notice. This is a meal my family requests weekly, which I don’t mind making at all. 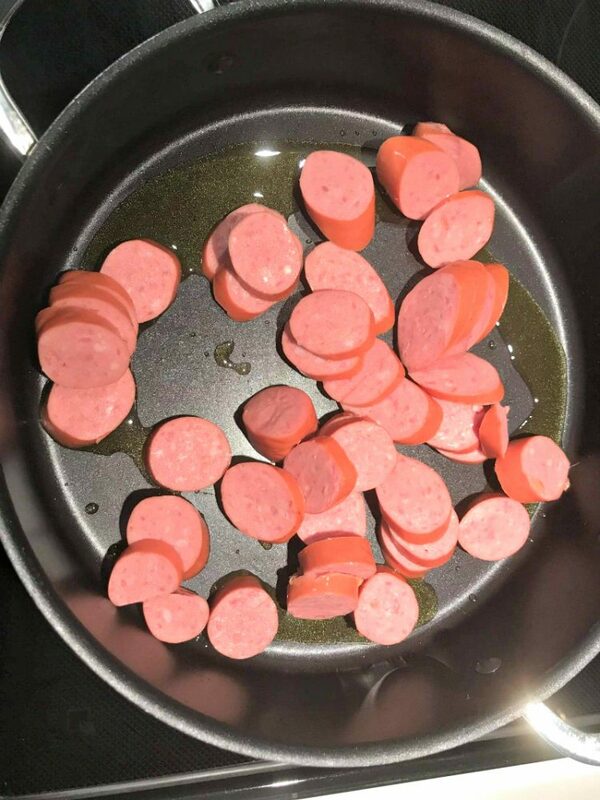 Let me walk you through this recipe fast and then let’s discuss where you can get Eckrich Smoked Sausage. It is so simple to make and packed with flavor. Let’s get started. In a large pot (with a lid) heat little olive oil over medium-high heat. Add Eckrich Smoked Sausage (sliced) and let brown. 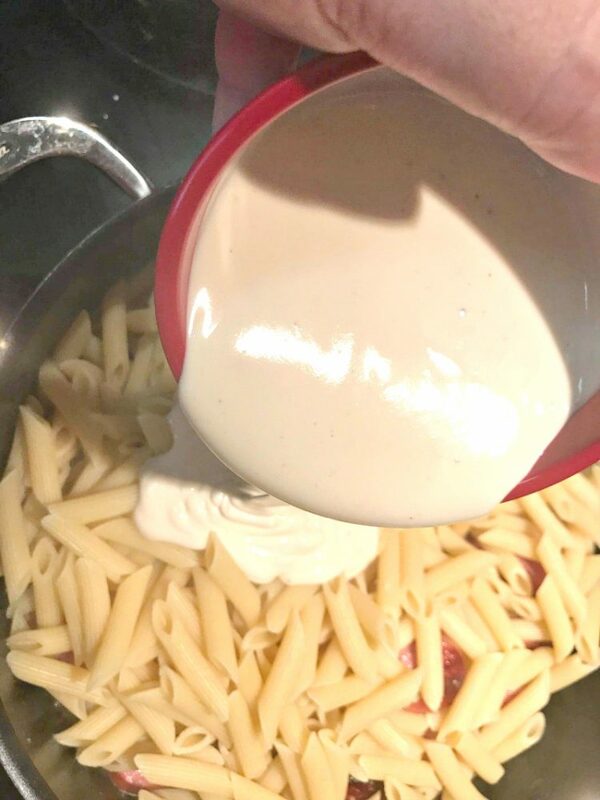 Add in jar of Alfredo sauce, uncooked pasta and Cajun seasoning to the pot and bring to a simmer. Cover and simmer over low heat for 15-20 minutes, just until pasta is tender. Remove pan from heat and stir in freshly grated parmesan cheese. Now fresh parmesan is highly recommended, but if you only have the store-bought grated cheese, then that is fine. 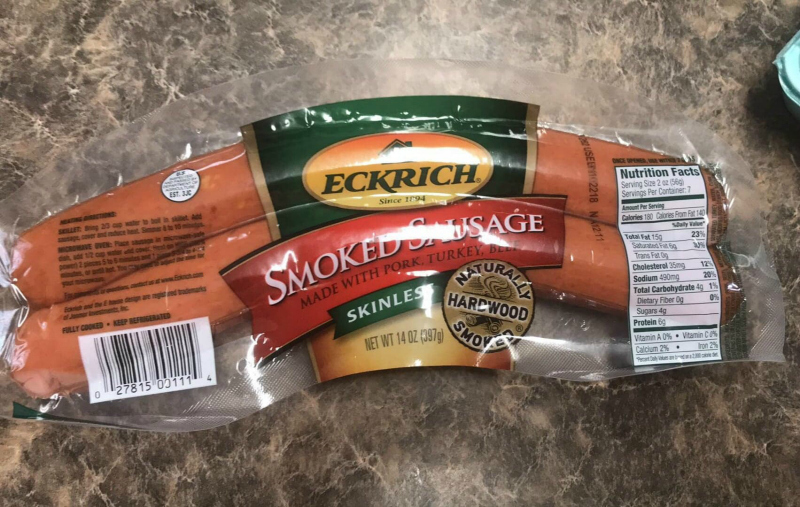 Let’s not forget where we can get Eckrich Smoked Sausage which can be found in the Deli section at your local grocery store! 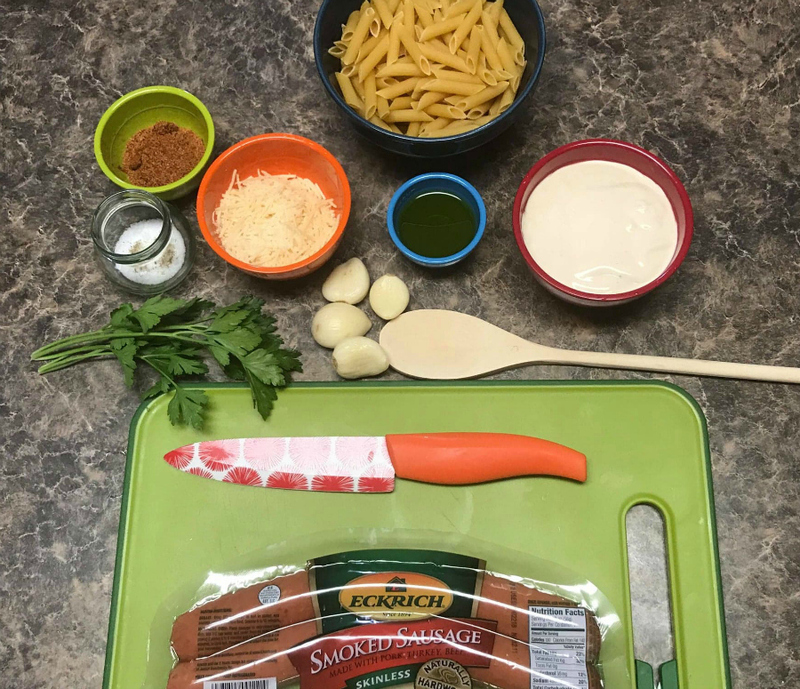 We know your family will love this recipe and you won’t mind making this dish since it is easy and takes 20-30 minutes.